What is a Sworn Statement of Account? – Daniel M. Copeland, Attorney at Law, P.A. What is a Sworn Statement of Account? At any point during construction, the owner may request in writing from the contractor a Sworn Statement of Account. 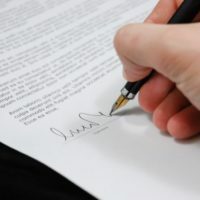 Pursuant to Florida Statutes §713.16, a Sworn Statement of Account is a written statement that documents the nature of the labor or services performed or to be performed, materials supplied or to be supplied, current amount paid on the account, amount due and amount to become due as stated by the lienor. A demand for a Sworn Statement of Account must be served at the address of the lienor in writing and must be made to the attention of the person who is designated to receive the demand as indicated in the Notice to Owner. The written demand must also include a description of the property and the names of the owner, contractor and lienor’s customer. If the demand is not sent to the lienor or addressed to the appropriate individuals, a refusal or failure to provide the requested documents does not deprive the contractor of their lien. However, if the owner abides by the requirements of Florida Statutes, §713.16, the contractor must provide the requested documents within 30 days of the demand. A refusal or failure to furnish the statement or a furnishing of false or willfully exaggerated statement may deprive the contractor of their lien. Because a failure to provide the statement of account within the provided time period can deprive a contractor from their lien.